Apple's US Retail Notebook Share Up to 20%? Will Notebooks Ever Replace Desktop PCs? MacBook Pro to Drop Full Sized DVI, FireWire 400 Ports? "This trend continued last week when I sat down with Rowan Trollope, senior vice president of consumer products at Symantec. He spoke very eloquently about the merits of Norton AntiVirus 2009 and how Symantec was trying desperately to change the negative image of Norton as a resource-hogging, user-bothering nuisance. "Trollope politely explained that he'd chosen a Mac because he prefers the platform's 'ease of use' and 'elegance'. I'm assuming he's referring to OS X's spangly graphical user interface, and not the Mac's innate ability to dodge malware. "It does make you wonder - if the guy responsible for pimping AV software prefers Macs, maybe we should too." 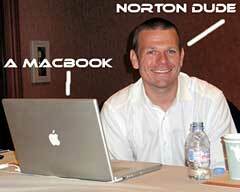 Link: Head of Norton AntiVirus uses a Mac?! "News today from Cult of Mac (via MacRumors) noted that the relative popularity of recently introduced Netbooks from Asus, Acer and Dell may force Apple's hand to compete in the sub-$1000 price range. "According to the report, Amazon's most popular laptops list is now dominated by the $400-$600 devices, with Apple's $1299 MacBook being the lone exception in the top 10. Problem is, that's more than double in price for Apple's lowest-end laptop. "Since Netbooks are tiny, lightweight and cheap - we're talking 9- and 10-inch screens for as low as $329 - analysts are saying that worsening economic conditions are only helping their popularity, and therefore, 'it has been suggested that Apple may drop the price of the upcoming MacBooks to try to counter this trend.'" Link: Will Apple Join the Netbook Fight? "At Apple Gazette, Michael made a post about why Apple wouldn't release a netbook, pointing out how the only non-netbooks on Amazon's list of top 20 selling computers are MacBooks. That's a nice observation, but then Michael postulates that because of this, Apple would be in danger of cannibalizing its own sales should it release a netbook. That's where he goes too far. "People looking at netbooks are specifically looking for lightweight machines that have a small physical footprint, as well as a small footprint for their wallet. The truth is, Apple's only real competitor in this market is the iPhone, and that's even a huge stretch to say...."
"That sales of Apple notebooks have taken off is not news. Quarter after quarter, portables have been a big part of the swelling Macintosh tide. 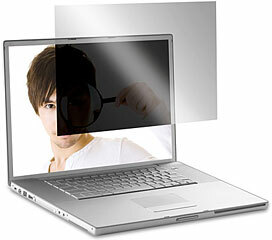 A DisplaySearch report released earlier this month showed Apple's notebook sales increased 60 percent year over year. It's now No. 4 in this category, behind Dell, HP and Acer. "For every three dollars spent on notebooks at US retail, one went to a Mac...."
"If the company wants to put the pedal to the metal, it needs to offer a MacBook that starts in the $600-$700 range, or lower, with a feature set that matches or beats the Windows notebooks." "One in five notebooks purchased at US retail outlets during the recent back-to-school buying season were Macs, according to a new report. "Citing data from market research firm NPD, the Register notes that sales of Apple's notebook lines shot up more than 30 percent year-over-year to claim 20 percent of the US retail market during the months of July and August. "Word of the latest surge in MacBook sales comes less than two weeks after NPD released similar data, showing that Apple's share of the North American notebook market to have risen more than 60 percent to 10.6 percent during the three-month period ending June." Link: Apple's US Retail Notebook Share Up to 20 Percent? "In the latest NPD sales info, Windows PCs had a strong 80 percent unit share at online and brick-and-mortar retail stores in June and July. However, despite having less than 20 percent unit share (some units were netbooks running Linux distros), Apple managed to make over 35 percent of the revenue share - over 1 in 3 dollars spent on computers. Apple may not be beating Windows in sales, but it is making a lot of money. "Notebooks are the biggest sales category according to the latest report, with unit sales expected to eclipse 148.2 million this year, says research firm IDC. Year-to-year growth rates of notebooks were 37.2 percent and an impressive 44.7 percent outside the United States." "There's no doubt that notebooks are the area where PC shipments are growing the fastest. In fact, it's fair to say that desktop sales are stagnating. People and businesses spending their hard-earned cash are being tempted by the mobile aspect of notebooks and are choosing these over desktop-based silicon. "But it's easy to read too much into short-term sales figures. My take on notebook sales is that there are two factors that are causing sales figures to shift in favor of the notebook...."
Link: Will Notebooks Ever Replace the Desktop PC? "Ah, the sound of a delivery truck in front of the house is always a welcome sound for a gear-head like me. I've gotten to the point where I can distinguish between UPS and FedEx by the squeal their brakes make. After a 1 day delay because I left the house for 15 minutes yesterday and that happened to be the window for the FedEx Ground guy, I had to wait an extra day to actually get my wife's new MacBook in hand." "Allison's refurbished MacBook came in a rather nondescript cardboard box, a far cry from the slick version you get when you buy new . . . The machine inside however looked completely flawless." "When I bought my wife's refurbished MacBook I got it with the smallest amount of RAM I could get, in this case 1 GB. The reason is that Apple charges a lot more for memory than what you can buy from an aftermarket seller like Other World Computing, which is a great resource for Mac memory and hard drives. "I purchased a 2 GB memory upgrade from OWC for $41, which included the cost of shipping. For perspective if you bump the memory on a MacBook from Apple up from 1 GB to 2 GB there is a $100 charge for it as of this writing...."
"Installing memory on a MacBook is very simple and the only tools you need are a coin and a #0 Phillips screwdriver. "While I was preparing my wife's machine I decided to put together a quick video to show how easy it is...."
"MacBook Pros may be producing fumes that contain toxic chemicals, according to tests posted on a French site for Mac enthusiasts, MacBidouille. The testing laboratory, Analytika, used multiple sensors over a period of eight days to collect air circulated by the cooling fan. Using gas chromatography and mass spectrometry, the report claims to have identified seven organic contaminants in the vapors. "The list of substances includes propanal, benzene, ethanone, isobenzofurandione, propanone and acetic acid. Most of the chemicals are considered irritants, but benzene has been found to elevate cancer probability in workers exposed to just 10 parts per million, according to the American Cancer Society." "Apple's anticipated MacBook Pro revision might sacrifice some of its now-traditional ports in the name of space, says a relatively new but allegedly accurate source for AppleInsider. Although Apple has included a full-sized DVI port on every 15-inch or larger notebook since a mid-cycle update to the titanium PowerBook G4, the new model is now claimed to drop this in favor of a smaller port to maximize the use of space in the system. Apple's proprietary Mini DVI adapter is described as most likely, though the company recently introduced a smaller-still alternative known as Micro DVI for the MacBook Air. "A native FireWire 400 port is also said to have been cut from at least one of the professional notebooks, with FireWire 800 left as the only option. FireWire 800 is now more common among high-end external drives and is technically compatible with 400 but requires an adapter to work with devices using the older standard. "The rumor if true would also support an apparent case leak from last month which suggests the 13-inch MacBook will be cosmetically similar if not identical to the MacBook Pro, which is still believed to be shipping in 15- and 17-inch variants. Both lines would ship in aluminum shells and have tapered designs that recall the MacBook Air in a less extreme form...."
Link: MacBook Pro to Drop Full DVI, FireWire 400? "Production ready versions of Apple's next-generation MacBook and MacBook Pro notebooks have surfaced stateside in matching attire, according to reports. "In its attempt to provide the most accurate picture of Apple's future product plans, AppleInsider is publishing these tidbits only as a rumor to supplement earlier reports of higher conviction. "According to the latest reports, both the new 13-inch MacBooks and 15- and 17-inch MacBook Pros will share similarities not only in their employment of aluminum enclosures, but in their overall aesthetic as well, with the new 13-inch MacBooks for the first time matching their higher-priced cousins as if they were members of the same product family." "Toshiba Corp. showed off at Ceatac Japan here a new notebook computer and an electric bicycle, both featuring its Super Charge ion battery called SCiB. "Toshiba claims that its new SCiB-equipped notebook PC is capable of recharging up to 90 percent of full capacity in 10 minutes. "The recharge speed of the new SCiB module demonstrated here appears to be six times faster than that of the original SCiB battery technology. "Toshiba used a new negative electrode material in its SCiB. Rather than carbon, it uses Li4Ti5012 (lithium titanate) in the new battery, resulting in a shorter recharge time and an improved recharge lifecycle, according to the company. "For example, the SCiB's recharge lifecycle has been improved to 6,000 times, compared to previously possible 500 times. "Further, the SCiB technology provides highly reliable rechargeable performance, even at extreme temperatures." "The Carphone Warehouse Webbook Netbook is lightweight and portable, weighing only 1.3 kg and equipped with a 10.2" widescreen. 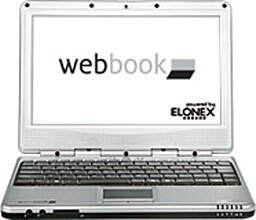 Running Windows XP or Ubuntu Linux operating systems, the inexpensive Elonex-made Webbook fills the bill for surfing the Internet and accessing your email with the preloaded Internet Explorer 6 webbrowser and Outlook Express email client. "I think the Webbook flatters the MacBook in its general appearance, even in being available in both black and white versions. It's definitely an aesthetically attractive package. "Price: £274 (Windows XP), equipped with Ubuntu Hardy Heron Linux about £50 less, or free with a two-year, or £25-a-month with an Orange Internet contract (UK)"
"Computer maker Asus has announced its Eee PC mini laptop is to get embedded 3G for the first time. "The Eee PC, which launched in 2007 and has spawned numerous, copycat, diminutive laptops, has relied on built in WiFi and the availability of hotspots for connectivity up until now." "Can we expect 2.5 TB 2.5-inch hard drives and 5 TB 3.5-inch drives by 2012? It seems realistic if the claims of hard disk drive (HDD) toolmaker MII, Hitachi GST, and others are realised. "To reach these levels, platter areal density needs to increase and read/write head capabilities also need to improve. Current areal density mass production drives are in the 250 Gbit/sq in areal density area, but best practices are much higher. "Toshiba has a 1.8-inch drive with 250 GB from one platter and two heads - that's 125 GB/platter surface and an areal density of 378.8 Gbit per square inch. Seagate has a generation 6 Momentus 2.5-inch drive rated at 500 GB, using 2 double-sided platters with 125 GB/surface and a Seagate-claimed areal density of 394 GBytes/sq in. This should probably be 394 Gbit/sq in. "Let's say current best areal density practice in production HDDs is 378-394 Gbit/sq in with 4th generation perpendicular magnetic recording (PMR) technology. "The PMR problem is that the technology is running out of steam and cannot continue delivering 50 to 100 per cent or more annual increases in areal density. People can't see it progressing beyond 1 Tbit/sq in, and it may not even attain that." Link: How Many Terabytes Can You Fit on a 2.5-Inch Hard Drive? "Kenmos Technology expects LED backlight unit (BLU) shipments for notebooks to hit a record in the fourth quarter, after slumping for the past few quarters, as the replacement of cold cathode fluorescent lamps (CCFLs) is accelerating, according to industry sources." "Of the LED BLU shipments to the notebook segment, as many as 70% will be for high-end models, the sources added. Kenmos has previously shipped LED BLUs to Apple and Dell, both of which have publicly announced their commitment to eliminating the use of CCFLs in their product lineups." "Toshiba will ship a 256 GB solid-state drive for laptops next month, likely beating rival Samsung Electronics to market in their race to offer high-capacity drives. "Based on multi-level cell (MLC) flash memory chips and designed for laptops, the 256 GB SSD uses a 3 Gbps (bits per second) SATA-2 interface. The drive can read up to 120 MB of data per second and writes up to 70 MB per second, Toshiba said." PR: San Jose, California based manufacturer of Flash storage solutions and DRAM memory modules Super Talent Technology has launched a pair of new high quality SATA-II SSDs that shatter previous price barriers. Super Talent's MasterDrive SSDs offer the usual laundry list of advantages over hard drives - five times better resistance to shock and vibration, consuming less power, supporting a wider range of operating temperatures and altitudes, and of course completely silent running. The new MasterDrive LX, offered in 64 GB and 128 GB capacities, offers all these benefits, plus a lower price than we're accustomed to for SSDs. The MasterDrive LX has also undergone Super Talent's rigorous battery of validation tests, ensuring the highest levels of compatibility and reliability. What's unique about the MasterDrive LX is its incredibly low price point; the 64 GB model will retail for about $179, while the 128 GB unit is expected to retail for under $300. Both models will begin shipping this week. Backed with Super Talent's 1-year warranty, the MasterDrive LX is built with NAND flash and uses a SATA-II 3 Gbps interface that makes it 100% interchangeable with hard disk drives. 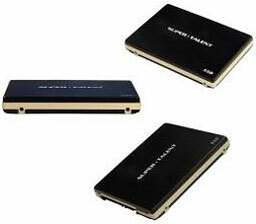 These SSDs support sequential read speeds of up to 100 MB/sec, and sequential write speeds of up to 40 MB/sec. Integrated ECC, wear leveling and bad bit management functions dramatically improve the reliability and lifespan of these SSDs. "The MasterDrive LX is our most cost-effective SSD yet. However, we've made no compromises in quality and reliability", Super Talent Director of Marketing, Joe James explained. Note that pricing is approximate as of announcement date and may change without notice. PR: Targus Inc. has announced it is launching its first line of notebook accessories specifically designed for Mac notebook users. The new family of products is designed from the ground up to deliver a complete suite of Mac-exclusive solutions and includes a Wireless Mouse, Bluetooth Laser Mouse, Bluetooth Presenter, USB Hub, Chill Mat, File Share Cable and Privacy Screen. 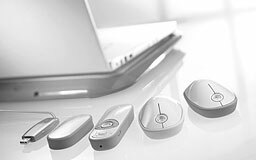 Each product is developed with materials, ergonomic attributes, technology innovations, functionality and aesthetics designed specifically to meet Mac users' wants and needs. Drawing on the popularity of the iPod Touch, the mice and presenter feature the most current touch scroll technology, delivering unprecedented ease of navigation. With its first line of Mac accessories, Targus offers Mac enthusiasts cutting-edge products with feature-rich functionality and Mac-focused designs. The new line complements the Apple style with clean, sleek and trendy form factors that exude simplicity and sophistication. In addition, continuing with Targus' Eco-Smart campaign, all the packaging includes eco-friendly materials featuring up to 70% post-consumer paper materials and highly recyclable PET. Compatible with both Keynote and PowerPoint, the Bluetooth presenter for Mac includes remote control for adjustment of volume and other functions plus two programmable buttons that give users quick access to applications or functions of their choice. Additionally, the Bluetooth Presenter for Mac includes a laser pointer, allowing users to call attention to important information within their presentation. 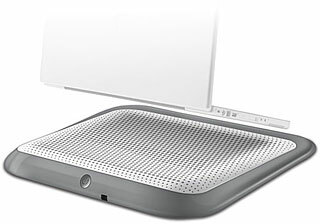 Bluetooth technology delivers wireless control of presentations from a distance of up to 33 feet and the Presenter's comfort-conscious design reduces strain due to the ergonomic placement of its buttons. The Bluetooth Presenter for Mac measures 5.1" x 1.65" x .98", weighs 3.7 oz and has an MSRP of $79.99. At the local coffeehouse, airport, or in an office environment, keep prying eyes away and your content secure with Targus' Privacy Screens for Mac. By narrowing the viewing angle with microscopic vertical blinds, information is only visible to the person sitting in front of the screen. With the option to attach with the provided double-sided adhesive, for semi-permanent mounting, or transparent tabs that allow for easily sliding it on and off, the Privacy Screen for Mac is easy to take on the road or use in the office. The antiglare feature additionally reduces eyestrain that can occur from computer use. Available in all three standard screen sizes (13", 15", or 17") the Privacy Screen for Mac also shields screens from unwanted smudges and scratches. The Privacy Screen for Mac has an MSRP of $49.99 for the 13" (ASF133W1US), $59.99 for the 15" (ASF154W1US) and $79.99 for the 17" (ASF17W1US). All products are backed by a limited one year warranty. These and other Targus accessories are available at Targus.com as well as through leading retailers, VARs, e-tailers, and direct marketers. Changes from last week are that the $2,099 MacBook Air is sold out again, but the the $1,899, 2.33 GHz 17" MacBook Pro is back. Each model comes with an Apple one-year warranty, and ground shipping is free.